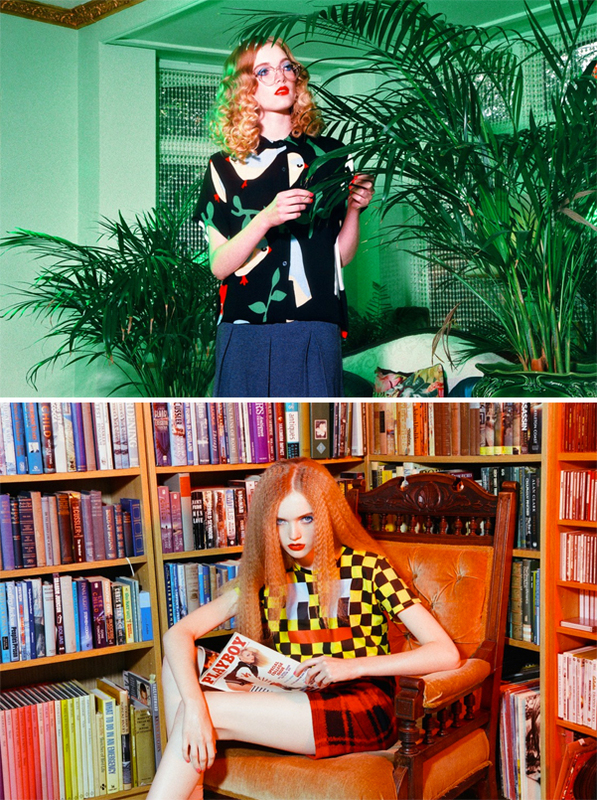 I must say that I am really pleased with Lazy Oaf Winter '14 Women's lookbook and their collection as well. Known for colorful, cartoon-focused and youth nostalgia, Lazy Oaf's Winter'14 collection is all about young girls just being girls with 60's inspired teenage dreamlike. Even though it is a winter collection, pop up bright colors can be seen everywhere. Not only that, this collection consists of cute kitty cat overall jumpers, oversized shirts, skirts, dresses with top pop graphics printed onto the garments. The lookbook was shot by Charlotte Rutherford and I would say that she had done a fantastic job. I love how the images show the girls just being all girly-girl and that are surrounded by sparkles, colorful flowers and books all day in their own Barbie doll dreamhouse. The pink-lit tone images work really well with the theme and brings out the girly feel even more. I wish I could go back being a teenager and just have fun with my friends and live in my own dreamhouse too. Anyway, you can shop their latest collection on their website, Lazy Oaf. the statement tees are so awesome! I love their new collection!